The issue of car parking charges for Richmond Park has been used by politicians, most recently Zac Goldsmith, to wave the flag of ‘we are the voice of the community’ and general ‘defender of the everyman’ and I am heartily sick of it. Sick of sensationalist flyers being pushed through my letterbox. Sick of emails (trying to be inflammatory) requesting my signature on a petition. Sick of unrelenting requests to attend rallys to demonstrate against this. Not one party has delivered anything on this issue other than sensationalist rubbish. Where was any understanding demonstrated about the massive cost of upkeep to Royal Parks which all of us are free to use? What about the preservation of a wonderful, natural space for people to enjoy? Don’t get me wrong. I think there are a multitude of issues here and living near Kingston Gate, I do wonder whether we will have a return to careless (and sometimes ridiculous) parking exploits in the surrounding streets and whether any parking fine revenue raised (and there will be!) will be added to the coffers for the upkeep of the park itself. But I am tired of the grand-standing and the lack of substantive information on this issue particularly given one MPs ‘soap-box’ stance on this following their move from Green to Tory party MP for the constituency. This entry was posted in Expat moments and tagged car parking charges, MPs, politics, Richmond Park by Kym Hamer. Bookmark the permalink. Some time ago it was suggested to both Susan Kramer and Zac Goldsmith that instead of playing political games they did something constructive, namely raise the £1.4 million locally thereby removing the tenuous justification for making the parking charges in Richmond Park. Other facilities in the park e.g. 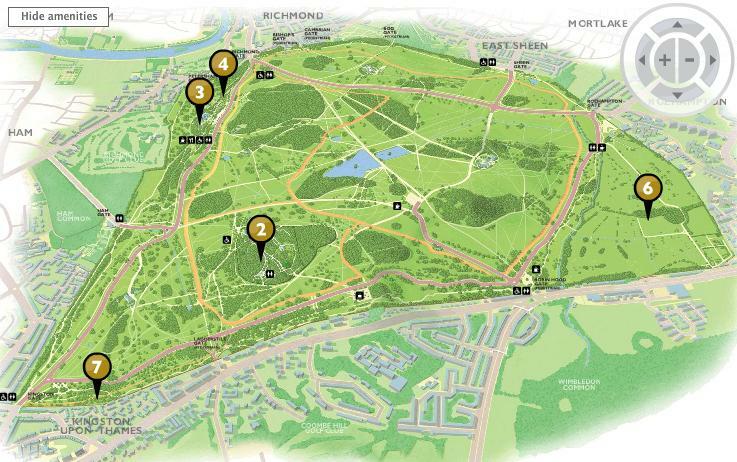 the Tamsin Trail have been paid for privately and the Royal Parks Foundation (of which ZG is a trustee) and the Richmond Park Charitable Trust exist to make such donations tax-efficient. Mrs Kramer has a background in banking raising large sums of money at short notice and as for Zac Goldsmith well there are arguments over how many hundreds of millions he has access to! And he is not necessarily the wealthiest Richmond resident. There are other contenders, the best-known of whom is Mick Jagger who lives just down the road from the park who at least has a history of things being free in royal parks. The upshot of this initiative so far is… precisely nothing, which puzzles me greatly because it's fairly obvious that whichever well-connected candidate can deliver this solution before the forthcoming election is on to a winner. Another more democratic solution is to raise this money by public subscription but it looks increasingly as though the highly-educated residents don't have the nounce to do it. The cost of avoiding parking charges is a one-off £25 per elector which equates to a handful of visits under the proposed charging regime. The alternative is to carry on paying the ever-increasing charges in perpetuity so in theory it's a no-brainer. 60% of Richmond Park (the constituency)'s electorate have already benefited from free state-funded university education, the highest in the country. So there's no lack of brains there. Or perhaps a degree is over-rated? Remember that every London household is currently paying a precept of £20 a year for the 2012 Olympics. How much free parking are you going to get for that? Kym, I'm with you on this. Rather than have a sensible debate about what we want from Richmond Park we've just had the local politicians looking for sticks to hit the Government with. The decision has been made, let's move on. I agree that politicains, especially Goldsmith, are cynically using this issue for their own ends. But there are important principles at stake especially the sham consultation exercise, so typical of the current political parties; the fact that this will penalise the poorest and most vulnerable in society – the relatively affluent like you and me can afford the acharges, others can't. If the parks need funds, there are many, like myself, who would happily make voluntary contribution, the paraphanalia and policing of car parking charges will be unwelcome. I accept ther are bigger global issues, but we shouold never forget the impact on everyday lives of decisons and processes such as this. The views of local people – 80% opposed – are important.